My hair and I are in a long-term love/hate relationship. For many years, I absolutely hated it. 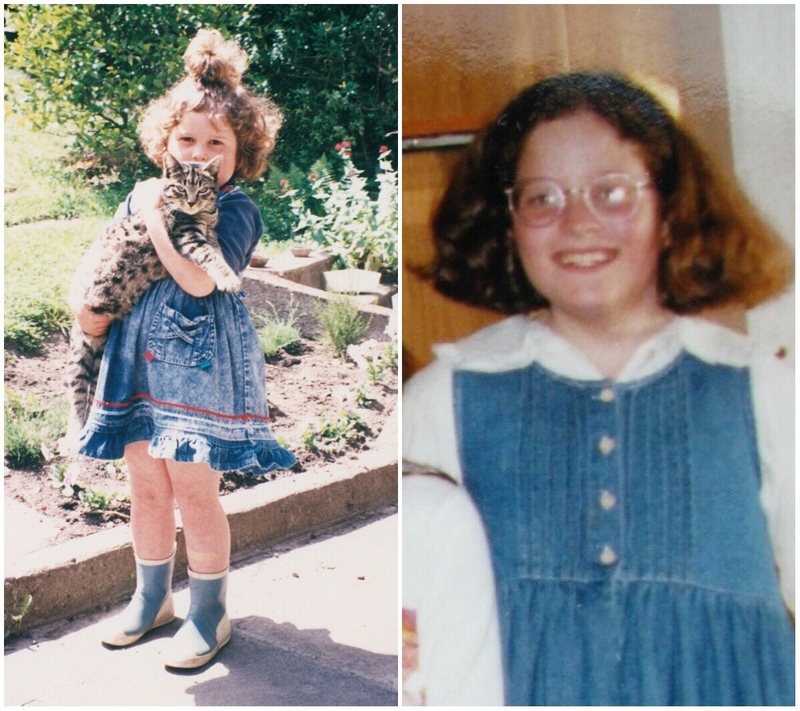 I’m adopted, so nobody else in my family had hair as curly as mine, and my parents weren’t particularly adept styling it when I was growing up, so we just kind of ignored that it was the way it was and did the best we could. I brushed it out and tied it up and…it didn’t always go very well. Fluffy hair – cute when you’re four, not so cute when you’re eleven! By the time I was about twenty, I had figured out how to style it, and realised that on good hair days, I really liked it. I grew it waist length and wore it curly frequently enough that strangers often stopped me in public to comment on it! I cut it off and donated it in 2010 and while I’ll probably never grow it that long again, I do miss it sometimes, especially now. Over the course of my illness and treatment, not only have I gained and lost (and gained and lost and gained and lost!) a substantial amount of weight, I have also lost about half my hair and most of its curl pattern. I’ve gone from needing to have it thinned by the hairdresser at every appointment, to struggling to hide numerous bald patches on my scalp. Surprisingly, the vast majority of this hair loss didn’t happen when I was the most ill, prior to starting dialysis. It happened post-transplant. This took me completely by surprise and has had a much greater impact on me than I anticipated. One of my medications is Tacrolimus; this is an immunosuppressant that stops my body rejecting my kidney, so I’ll need to take it indefinitely. Unfortunately, it’s also what’s causing the hair loss. This means that although my hair has fortunately almost stopped falling out, what’s already gone is unlikely to grow back, and even if it does, it will probably be totally different. Initially, I expected this hair loss to be temporary. I’d heard that it sometimes happens, but thought it was probably caused by a combination of my body having gone into shock after the transplant surgery itself, the sheer stress of having to adjust to such a big change in my life, and the huge amount of medication I was initially on. I assumed that given time and a bit of extra attention, it would eventually come back again, like it does when people finish chemotherapy. The collection of products I tried in an attempt to encourage my hair to grow back is ridiculous. I was convinced there must be something out there. If I could just find it, I could feel like me again. Biotin. Watermans. The Curly Girl Method. Toppik. 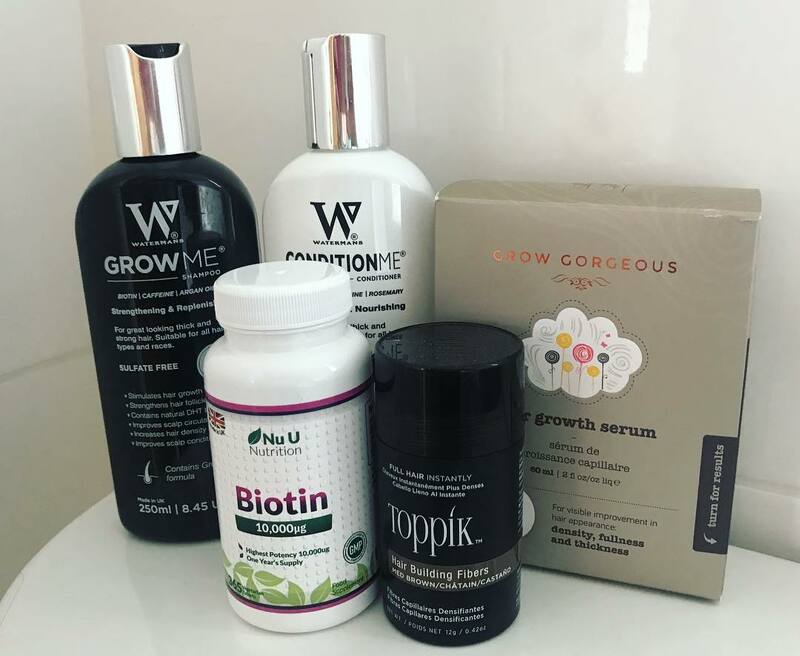 Grow Gorgeous. Almost two years post-transplant, nothing has worked. I can’t help but wonder whether this stems from a fear of judgement. Perhaps they’re the only patient feeling this way? Will others think they’re petty or shallow for being concerned about their weight, skin, hair or scars? Maybe they should just shut up, stop complaining, deal with it and focus on being grateful to even have a transplant. It isn’t that simple. Regardless of what’s happened to us medically, or how fortunate we might be, we’re still real people outside of those experiences. Just as it’s normal and human to feel happy and grateful for improved health after a transplant, it’s also normal and human to care about how it might have changed the outward, public “self” that people see every day. Ultimately, the struggle with side effects of medication or treatment isn’t about the hair or the weight or the scars at all, it’s about identity. I hope that over time, I will manage to get my head around my different hair, heavier weight and extra scars. Most days I’m almost there with the second two, but I still really struggle with the first one. Eventually this might change, and I’ll find a way to be ok with this new, post-transplant Holly who is walking around in public every day, but in the meantime, my headspace is where it is. I’m definitely grateful, and happy that I’m in good health, but these feelings don’t have to exist in isolation to be valid, and I don’t have to take on unnecessary guilt over not feeling the way I worry that I “should”. Previous PostFour days. 723 transplant recipients. One amazing experience. Hello I am right there with you, but my order of the things that bother me are different. Mine is my weight. Like you up then down and now way up again. I hate to complain but I dont even look in the mirror unless I have to. Hugs to you! Have you tried viviscal? Or folic acid?? I can sympathise with the hair (and other problems), being 32 years post-transplant. I recently had a tumour removed from my skull, with a skin graft to cover the hole so it finally called for more drastic action. I decided to take the plunge and buy a wig – and now I have six. I can be a different colour/style every day. People who don’t know me have no idea that the hair isn’t real; people who do know me just think it’s fun.